Dubai’s MICE sector continued to boom in 2017, with Dubai World Trade Centre (DWTC) – the city’s biggest events venue and organiser – generating AED12.7 billion (US$3.45 billion) of retained value for the emirate’s economy last year, representing 3.3 percent of total GDP. DWTC events generated total revenues of AED22.5 billion, marking an eight percent increase compared to 2015, according to DTWC data. Furthermore, for every AED1,000 spent at an event staged by DWTC, AED4,300 was generated in terms of overall economic benefits. DWTC events supported more than 84,000 jobs in Dubai in 2017. "DWTC’s priorities are firmly aligned with UAE Vision 2021, the nation’s economic diversification strategy and the 2017 Economic Impact Assessment is testament to DWTC’s success as a MICE entity that enhances the value of business tourism to Dubai and makes invaluable contributions to its GDP," commented Helal Saeed Almarri, Director-General of Dubai World Trade Centre Authority and Dubai Department of Tourism and Commerce Marketing. “The strong growth not just in the gross revenues but also in the economic value added are a testament to the ability of the industry to minimise leakage and retain the contribution within our economy for continued growth." According to DWTC’s latest Economic Impact Assessment report, international visitors accounted for 42 percent of the 2.6 million delegates who attended large-scale events in Dubai in 2017. 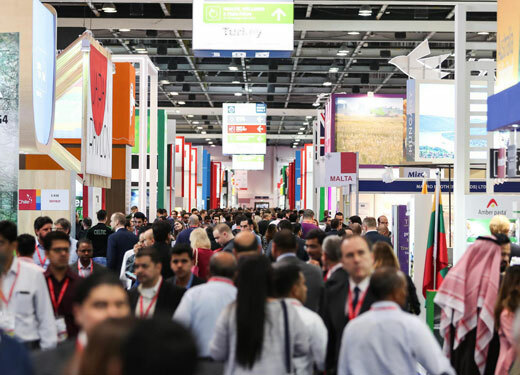 According to DWTC, they spent nine times more on average per event than local attendees, mainly relating to accommodation, retail, entertainment and F&B.